Micro-Epsilon’s eddyNCDT 3005 is a new, robust eddy current measurement system that is used for fast, high precision displacement measurements. 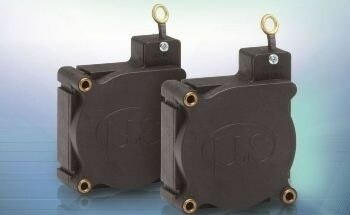 Owing to its pressure-resistance, thermal stability, and compact design, it is ideal for machine integration. 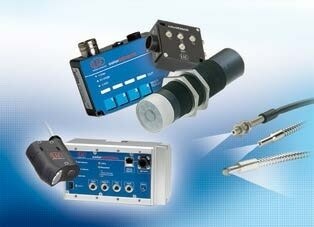 Micro-Epsilon’s non-contact eddy current sensors are built for very high precise measurement of distance, position, displacement, oscillation, and vibration, etc. to micrometer accuracies. Pressure, dirt, oil, or high temperatures do not have much impact on measurement precision. 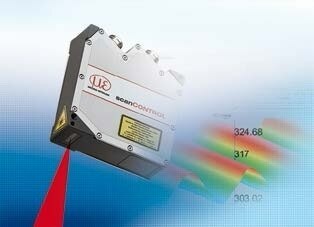 This eddy current measurement system is particularly ideal for challenging industrial environments. As the compact controller and sensor of the eddyNCDT 3005 are temperature-compensated, it is possible to attain remarkably high measurement accuracies even in high or fluctuating temperatures, for example in automotive production. The sensors are built for ambient temperatures up to a maximum of +125 °C but can also be tailored for temperatures from -30 °C to +180 °C. 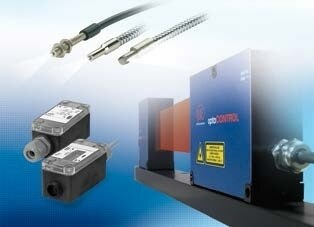 Cable, sensor, and controller are pressure-resistant up to 10 bar. 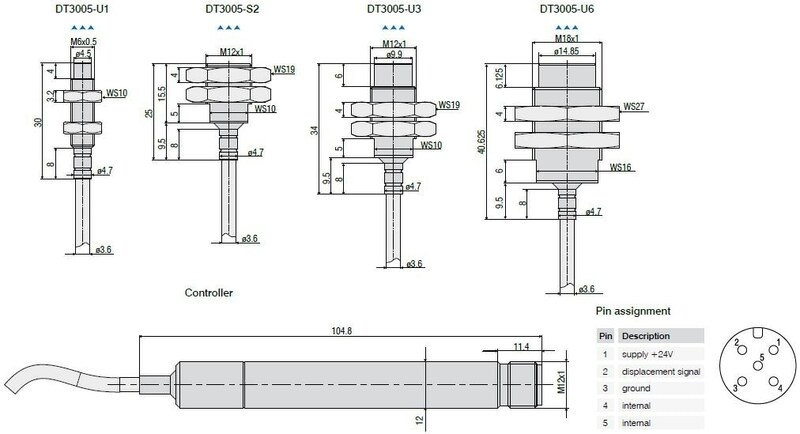 Compact, powerful sensor designs and high measurement accuracy, with a particularly appealing performance/price ratio, make these sensors suitable for high volume applications and for integration into plant, equipment, and machinery. 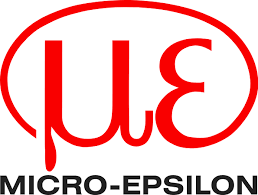 The eddy current sensors made by Micro-Epsilon are engineered for distance, displacement, position, and movement measurements, as well as for detecting oscillations and vibrations. 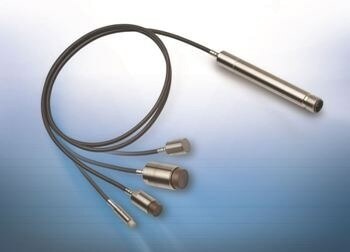 Micro-Epsilon’s non-contact operating eddy current sensors are renowned for their high precision, and are even used for micrometer-accuracy measurements. The eddyNCDT 3005 is a new and robust eddy current measurement system for fast and high precision displacement measurements. 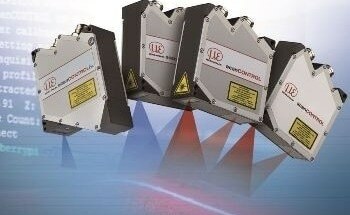 The system comprises of a sensor, an integrated cable, and a compact controller, and is factory-calibrated for ferro- and non-ferromagnetic materials. 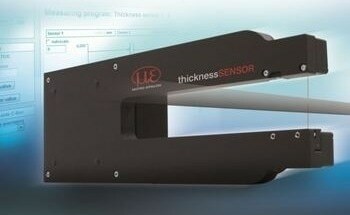 As sensor and controller are temperature-compensated, it is possible to accomplish high measurement accuracies even in fluctuating temperatures. The sensors are built for ambient temperatures up to maximum of +125 °C but can optionally be tailored for temperatures from -30 °C to +180 °C. 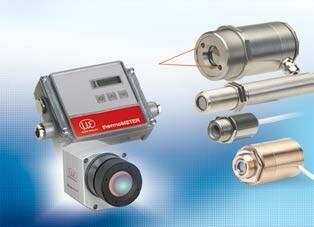 The measurement system is resistant to pressure of up to 10 bar, and is ideal for machine integration. The eddyNCDT 3005 offers easy usage and high measurement accuracy, offering an exceptional price/performance ratio. 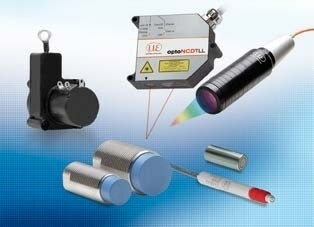 The sensor is compatible for mechanical engineering applications and OEM integration. Mainly where high temperatures, dirt, pressure and oil are present, the eddyNCDT 3005 is ideal. 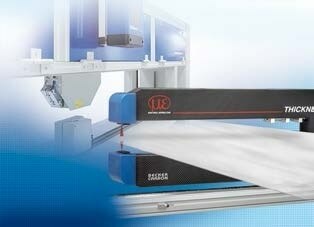 Where high volume orders are essential, the customer-specific designs can be tailored to suit individual requirements. There is no need for synchronization if two or more systems function adjacent to each other. To work several systems, a new frequency separation is offered, which enables the user to run these systems in parallel without impacting one another. It is not essential to perform tuning via synchronization cable.